Above price includes two side sublimation print. Simply “slap” the bands onto your wrist. A great novelty item to promote corporate branding. Make a statement with your logo. 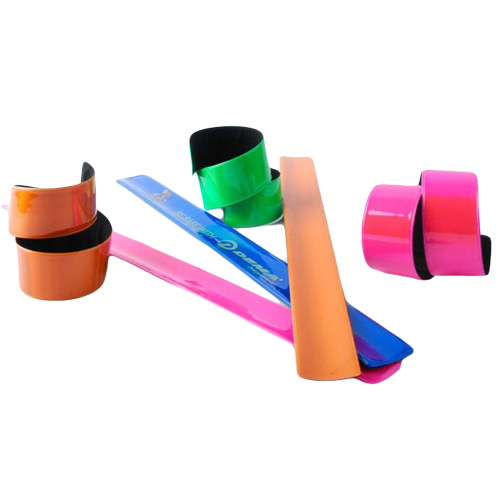 Do you remember having a slap band when you were growing up? These branded wristbands are a great branding opportunity, while the slap band is the perfect novelty item for kids and adults alike. 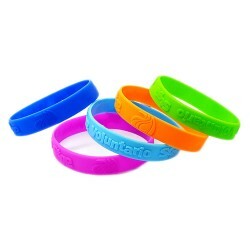 Available in an assortment of colours, these wristbands allow you the opportunity to make a statement about your brand. A slap band or slap bracelet (as they are also know) is a bracelet consisting of layered, flexible stainless steel bands sealed within a fabric, silicone, or plastic cover. The flexible band wraps around the wrist and is applied with a slapping motion hence it name. It is claimed that the slap band was invented by Stuart Anders and was originally sold as the “Slap Wrap”. 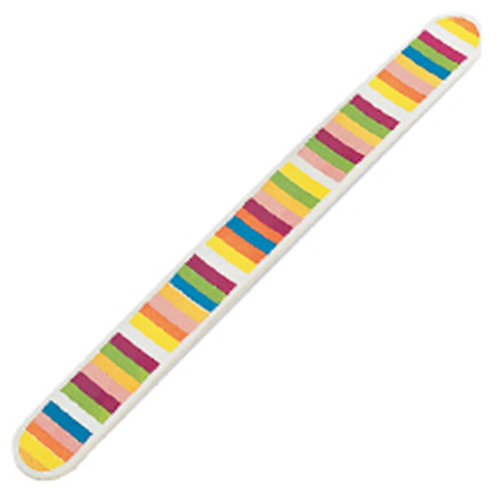 The slap bracelet was a popular amongst kids and was available in a wide variety of patterns and colors. The bracelet was mainly popular during the 90s but then gradually morphed into a promotional or marketing product. It ease of use and inexpensive price made it a prime target for the promotional industry. Also it large print area made it ideal as a promotional merchandise item especially to give out at major events as an identity tool. Once adopted as a promotional item there was an exposition in the popularity of snap bracelets. 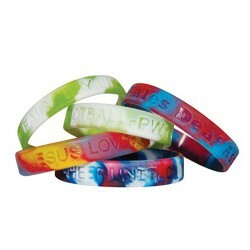 The fact that they are a low cost item and easy branded make the band an ideal branded product. Our promotional slap bands are available in two great sizes which then provides two great logo print spaces. The large Slap Band has a print space of 180mm x 22mm while the regular size has a print space of 156mm x 17mm; whichever option you choose, we know that you’ll have ample space to promote your brand. 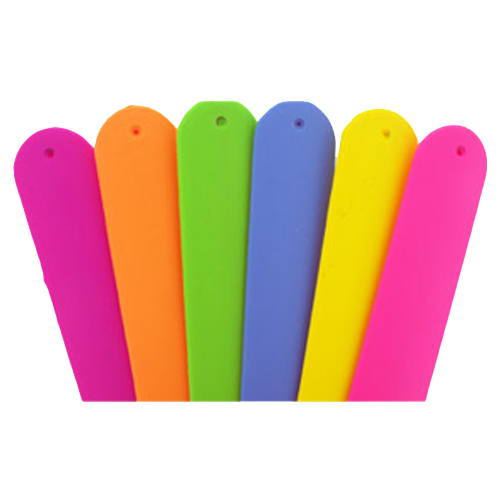 Slap Bands are a great promotional product or merchandise product, especially for kids. The novelty of being able to simply slap the band around their wrist will keep them entertained for hours while the simple fun nature of the band will have your brand noticed. What’s more they are a durable item which will stay in circulation long after you have handed them out at an event or included them in a gift pack. Pad Print – Is mainly used where it is a simple logo with a simple shape. Usually there are no more then a couple of colours. With pad printing a block is created for each component of the logo. The band is placed in a jig so that is doesn’t move during the printing process. The block then picks up the designated colour and deposits it on the product being printed. This same process is repeated with each colour or component of the logo. Screen Print – Screen print is similar to pad print in that each colour of the logo is printed individually. The different is that a film is create of each component and instead of it being stamped onto the product it is applies with a screen and a spatular. It is the same method that is used to screen print t-shirts but on a hard surface. Screen print allows for printing larger print areas or where there is a slight curve in the product. Digital Print – Digital print is used where there is a gradient or a very complex logo. The method is the same as your standard colour printer. There are a number of tanks or cartridges with different colour which are mixed and then applied to the surface accordingly. With digital print a solvent is applied to the surface to ensure that the print says on the surface and is not easily rubbed off. 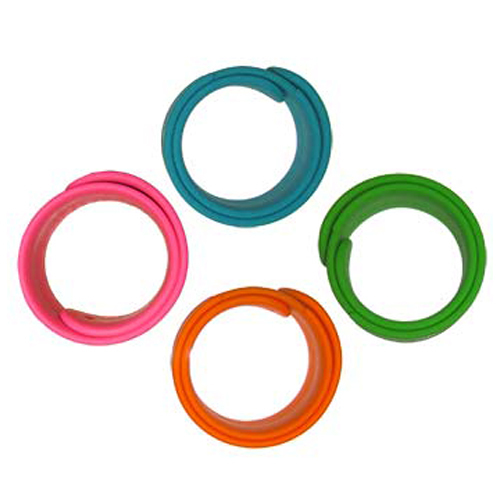 If you need a fun, simple promotional wristband, our Slap Braceets will make a great addition to your marketing products.